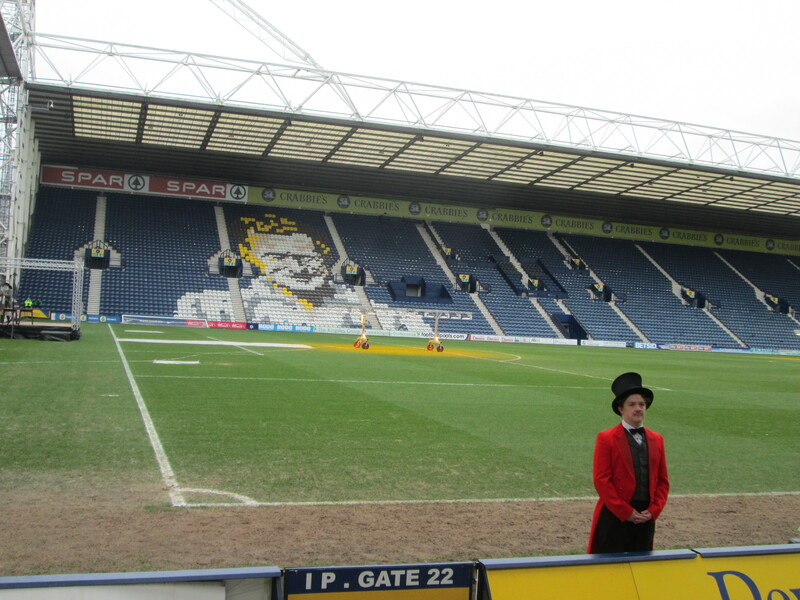 As I turned down Lowthorpe Road on my approach to Preston North End FC, a ‘cattlepiddler’ of high-vis jackets from a nearby school heading the same way suggested I was definitely in the right place. Close by, coaches belched out their own human beans, their titchy little snapperwhippers all set for a day to remember, celebrating the beauty of books and children’s lit. I should apologise for the BFG wordsmithery there, but who better to plagiarise in a World Book Day feature than Roald Dahl, one of this global event’s main inspirations? After all, that appreciation of past and present children’s fiction makes this annual happening a winner – rather than the ‘off the peg’ costume money-market harassed parents are conned into. I was lucky enough to join the VIP contingent in the Invincibles Pavilion Stand for this ambitious event, the flagship of the ten WBD 2015 happenings across the UK. Okay, so there wasn’t much evidence of national media interest – at least on the TV bulletins I saw – but those who were there seemed to have the time of their lives. 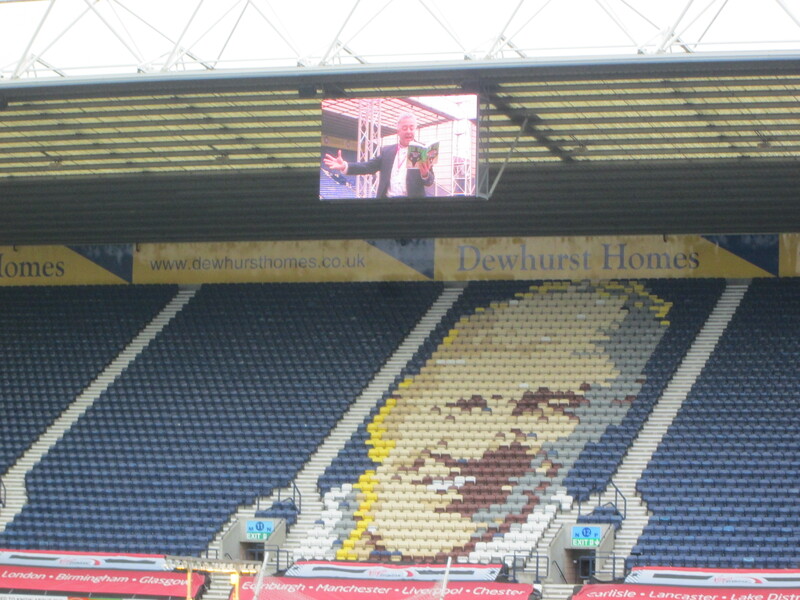 As I sat, pitch-side, I wondered what late, great England and Preston legend Sir Tom Finney – his visage picked out on the seats opposite – would have made of this spectacle. I like to think he would have been up for it though, as he was with anything helping spread the word about his beloved club. 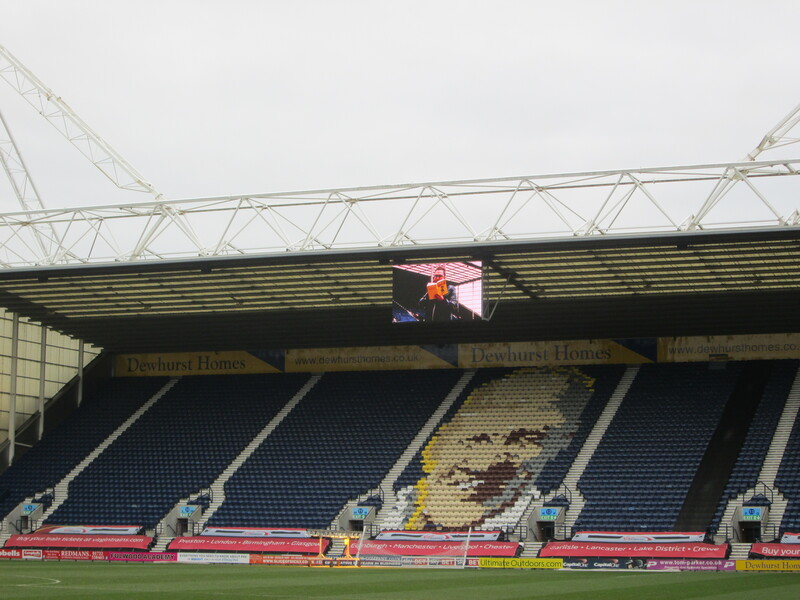 Praise too for all at Deepdale for their involvement in this project. Yes, there were headaches on the day, but overall it went surprisingly well considering the huge scale of this undertaking. Even before I left our ‘green room’ – the PNE players lounge – I was aware of the sheer numbers of eight to 13-year-olds out there. A staggering 5,000 of them from 100 schools across the region were represented, and capable of a mighty racket. Lining Up: Steve Butler, Deepdale Duck, PNE’s Rachel Brennan and Jonny Duddle form an orderly queue, without a burger concession in sight (Pic: Malcolm Wyatt). 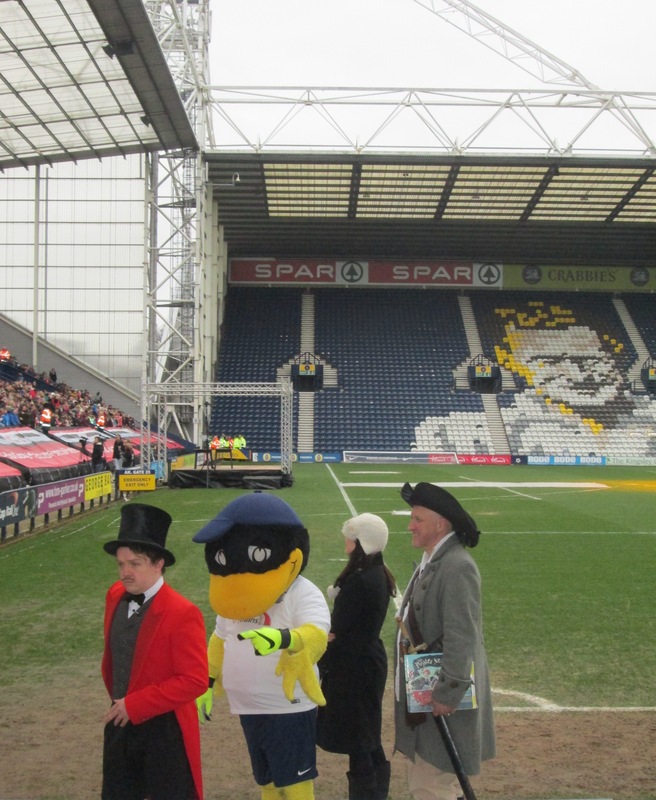 Treasured PNE mascot Deepdale Duck did the hard work with club colleague Rachel Brennan in the warm-up, keeping the crowd whooped up as the stand filled up, while our six performing guest authors built up the courage to get out there and face them. It was interesting from an independent view experiencing the different approaches to stage-fright, from co-organiser Jake Hope through to the writers themselves – all displaying plenty of PMT (that’s pre-match tension for the non-footie fans among you). First-time children’s author but seasoned performer and writer Danny Wallace seemed quiet and somewhat pensive, Cathy Cassidy carried a nervous smile, and Frank Cottrell Boyce was perhaps wondering if he should have worn a little more protection from the elements than his best suit. Meanwhile, Jonny Duddle – in full pirate garb, complete with cutlass – looked like he might be searching forlornly for land ahoy, and when I finally spotted Cressida Cowell she seemed to be jumping up and down on the spot in her own particular warm-up. Perhaps the coolest head – at least outwardly – was that of Steven Butler, and that was handy seeing as our top-hatted resident ringmaster just happened to be the master of ceremonies. Even his pencil ‘tache pointed skywards on the day, providing a note of positivity to help encourage his fellow guests. And pretty soon – with the Alan Kelly Town End now full – he was ready for the off. Steven proved a natural too, The Diary of Dennis the Menace series author giving his young audience a rowdy glimpse into the Butler family home in his youth, his audience almost spellbound and his excitable delivery proving infectious. It’s understandable I guess, when you factor in that this was Steven’s ninth of 10 such Biggest Book Show on Earth UK & Ireland events, having started out on February 23rd in Norwich, a run leading to a big finish the following day at Newcastle City Hall in an event organised by the wonderful Seven Stories. Pretty soon, he was introducing Jonny Duddle and the good vibes continued, this former Prestonian – now based in North Wales – making as much a verbal impact as a visual one. Our resident salty cove rearranged his tricorn hat and talked passionately about his picture books and local roots, and whenever he felt things might be flagging he’d ask his audience, ‘What do pirates say?’ and received a mighty ‘Aaarghhh!’ in response. 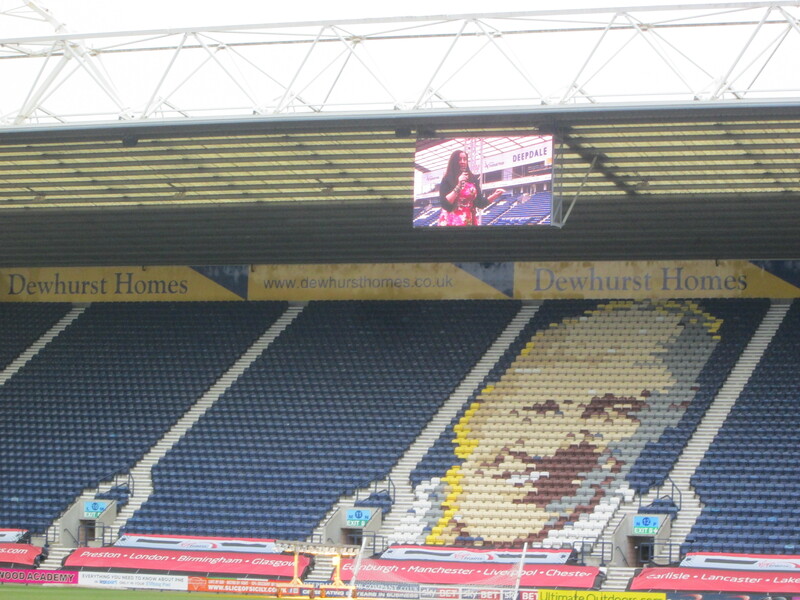 Jonny also shared a little of his expertise with us, an illustration of a JD parrot taking shape on the big screen at the Bill Shankly Kop end of the ground as he worked feverishly, before the kids suggested – at his prompting – a ‘squawk’ should be added. Between the guest slots, our red-coated MC returned for more crowd-whipping fun and introductions, giving us three lesser-known facts about each author before they were invited to step on stage, the goal-posts moved on the day in more ways than one. 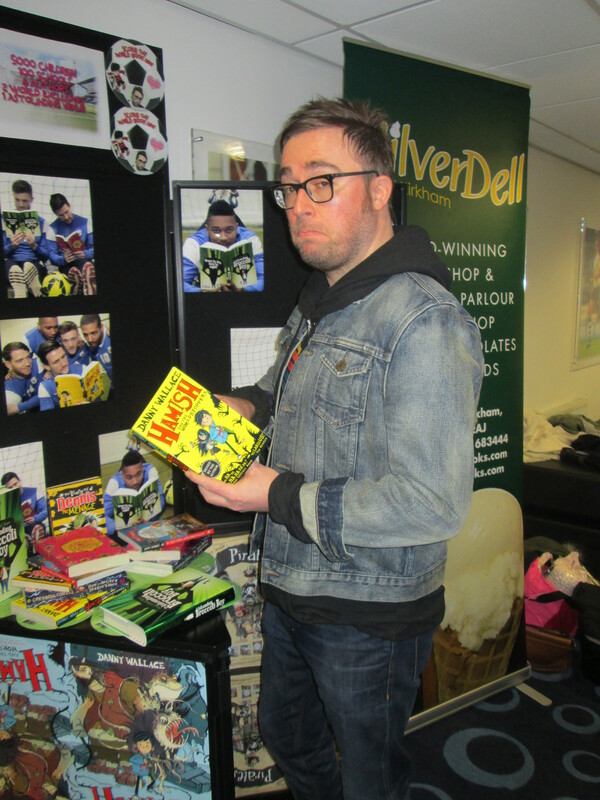 Next up was Danny Wallace, who also proved a natural with this crowd, introducing them to his book character Hamish and life in the less-than-glamorous fictional town of Starkley, with a little help from Jamie Littler’s artwork. We were also treated to a few headlines from The Starkley Post, the children invited to give their verdict on how interesting each was. And it’s not often a live performer invites his audience to shout ‘Boring!’ for a large part of his set. Of course, Danny was anything but dull, proving a big hit with the kids, not least when he introduced us to his own children on the big screen, showing pictures of cute monkeys. Cathy Cassidy had a hard task following that, but coped superbly, one of the event’s biggest sellers overcoming slight technical hitches to deliver a clear, impassioned address. She encouraged those present to make sure they enrolled at their local library, shared with us her love of the wonder of books from an early age, talked about her Chocolate Book series and her re-imagining of Alice in Wonderland, then got on to the subject of day-dreaming in class. Cathy was soon on such a high that she even asked if anyone liked football. The resultant roar led to her apologetic admission that she wasn’t such a fan, but she looked relieved to get a bigger response when she asked who loved books and who loved day-dreaming. By the time Frank Cottrell Boyce took to the stage, the PA system was definitely playing up a little, and you got the feeling a fair proportion of his audience couldn’t quite make out what he was telling us – feverish running about following from the University of Central Lancashire technical team. 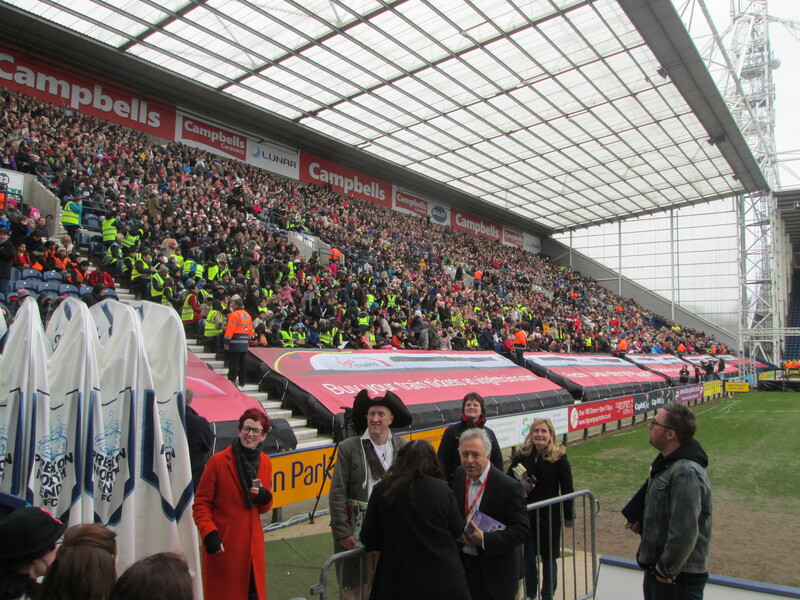 Meanwhile, Frank soldiered on tremendously, snapping a picture of the crowd before a book-related take on Rowan Atkinson’s ‘taking the register’ skit, involving Gandalf and many others dotted around the ground. If I missed some of his words, it’s not because I was taking advantage of the green room facilities (although I did dart off at one point for a restorative coffee as the cold took its toll), but because we too were struggling to hear. But Frank quickly had the audience on his side, introducing his latest fictional hero, The Astounding Broccoli Boy, while relating his own experiences of turning a different colour in public. It was also noticeable after Steven had re-taken the mic. that Frank was fully relaxed now, walking along the stand and beaming smiles and waves to his new roster of fans as if he’d just won the Sherpa Van Trophy. That just left Cressida Cowell, and if the kids were starting to get a little cold by now through over-exposure to the elements on this early March morning, they were soon warmed up by her bubbly talk of dragons and much more. She flashed up snapshots of her on a Scottish island hideaway as a child, the one where she first dared to dream of these wee beasties that would make her name. And if you’ve ever seen Cressida in action, you’ll know you can’t help but be inspired. Imagine Miranda Richardson’s Queenie in Blackadder II in playful mode and you’re not far off. Cressida also treated us to a little live drawing, bringing Toothless to life on the big screen, keeping her young audience fully engaged when thoughts were turning to dinnertime. Pretty soon, the young ‘uns were all filing out, the Preston Six taking a collective bow on stage after a farewell address from co-organiser Elaine Silverwood. We were soon back in the warm, and while the organisers were still not quite ready to relax, the authors were. Danny and Jonny were in good form as we chatted over cuppas, Frank and Cressida were in deep conversation at the bar, and Steven seemed almost unrecognisable in his civvies, his circus redcoat now safely back on its hanger. I didn’t catch Cathy again, but later found out she’d been ‘ambushed’ by her adoring public, clearly having felt she’d missed out on her usual post-event meet, greet and sign, like that which kept her so busy in an event the previous year at Blackburn. With the coffee running out and Jonny mentioning he was ready to change out of his pirate gear, I felt it was definitely time to leave, waving goodbye to Frank as he chatted on his mobile phone outside the stadium before heading back towards Leyland. The sheer size of the event was still being brought home to me as I drove away, a vast convoy of coaches encountered en route heading back to their respective schools. It might have taken the organisers a while to fully appreciate it, nut I should put in writing here that it was all a resounding success, and everyone could feel proud of their input. You could argue that any one of these authors might have proved more personal and just as successful in front of two or three classes, but this ambitious event somehow worked a treat and should stay in the memories banks forever – for its authors, pupils and teachers alike. I was close enough to see just how much work went into the whole spectacle, from booking the guests and the venue to co-ordinating the school operation and ensuring pupils got their pre-signed books as a treasured memento of the day. Last year’s King George’s Hall show was spectacular enough, yet this was five times the size, and just the sheer amount of St John Ambulance volunteers in the ground shed light on that. To use the football vernacular, children’s lit and the love of books was the clear winner here. The boys and girls done good. Result. 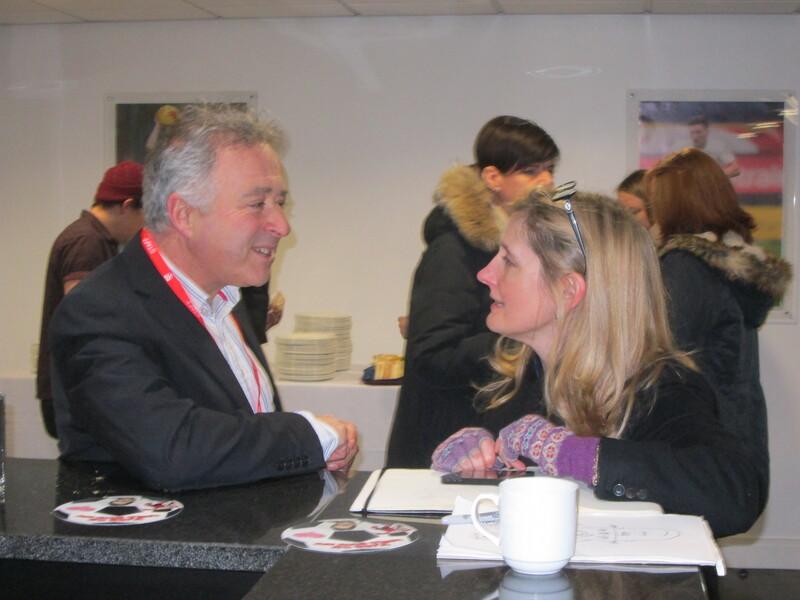 For this blog’s WBD 2015 pre-event feature with Cathy Cassidy, head here, and for a Frank Cottrell Boyce feature head here. 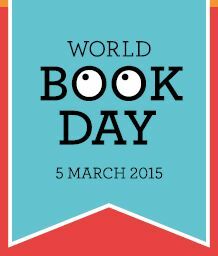 To find out more about the World Book Day organisation, head here. With thanks to regional co-organisers Jake Hope and SilverDell of Kirkham‘s Elaine Silverwood. And for far better pics from the day than mine, head to Sara Cuff’s C Pictures site here when she’s got them online, and Michael Thorn’s own take on the day here. This entry was posted in Books Films, TV & Radio and tagged Cathy Cassidy, Cressida Cowell, Danny Wallace, Deepdale Duck, Frank Cottrell Boyce, Jonny Duddle, lancashire, Preston, Preston North End, Steven Butler, World Book Day. Bookmark the permalink.